It’s probably safe to say that not everyone is cut out for the rigors of used-boat ownership. Before you let your boat-buying fever get ahead of you and your wallet, it might be helpful to take the used-boat buying quiz below to see if buying a used boat is right for you. This not to talk you out of chasing your boat dreams — it’s just to suggest pausing to make some realistic assessments of what you may be facing when that boat is yours to keep and maintain. Let’s face it, buying a used boat involves some degree of risk. Yes, there’s less risk involved than there used to be, but still, it’s not as safe as buying a brand-new boat. Or a brand-new anything. That cream-puff you bought might have a cracked exhaust manifold that didn’t present itself because the engine was already warm. Or it might be that a manifold bolt has broken off in the cylinder head, and naturally it’s in the hardest place to get to. That means you have put in some bilge time or pay someone else. Yes, the quality of boats and marine propulsion systems have risen greatly over the last decade, so even used boats are better than they ever have been. But they’re not without risk. You need to ask yourself how comfortable you are with that. Are you handy with boat repairs? If something breaks on your new-to-you boat, are you handy enough to fix it? Can you put a bellows boot on a stern drive? They have a given service interval and they often get overlooked, then split with age and exposure — and they will sink a boat. Most repairs won’t involve the risk of a sinking, but boats aren’t cars. The environment in which they’re used is much harsher. They get bounced around on the water, and things do break. If you are handy and have an awesome set of tools, you’re good to go, and you’ll find that working on your boat will give you a real sense of satisfaction. If you’re not handy with tools, you have to ask yourself the next question. Do you mind paying for repairs on a boat you just bought? The hourly labor rate for a marine technician varies, but if you can’t make the repairs yourself, you may need to pay someone for their time, plus parts. It’s one thing if you’re aware of problems when you agree to buy the boat. You can negotiate against them and get enough of a reduction in price to compensate for the repairs you’ll have to make later. It’ll be the unknowns that get you. In fact, it’s a good idea to budget for unforeseen repairs. That way, if something comes up, you’re not caught with an empty wallet early in the boating season. Do you have the finances to buy new? 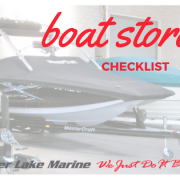 If you have enough financial wherewithal to buy new, that might be the way to go, and every boat manufacturer on the planet agrees with that statement. Just ask them. 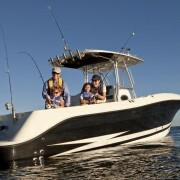 If you’re not new to boating or you have a lot of money to put down on the boat, or can pay cash, new boats have their obvious benefits. However, if this is your first boat, and you’re just trying to get your feet wet, “gently used” might be the best way to go. 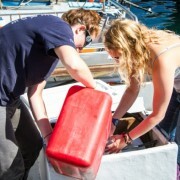 Does everything on your boat need to be ship-shape? If you’re as fastidious about the condition of your boat, everything needs to be ship-shape. 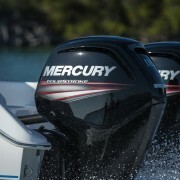 But meticulous owners are hard to find, and so are used boats that have been meticulously cared for. If you have looked at enough used boats over the years, you know exactly what I’m talking about. But you want to keep looking until you find that one boat that strikes the balance between the right price and the right state of repair. There’s one in every price range. They’re just not easy to find. So the next question is especially critical. Finding a good used boat takes time. Even if you miss out on a boat, one you know you should have bought, but for whatever reason did not, keep looking. There are more out there. You just have to be patient and stay vigilant. When the next one comes along, you won’t hesitate. And that will be one of the two best days in your life. 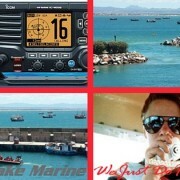 This post originally appeared on www.boattrader.com.